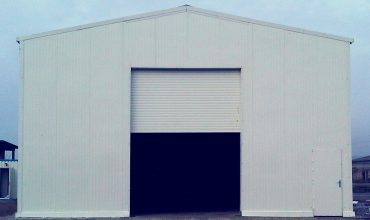 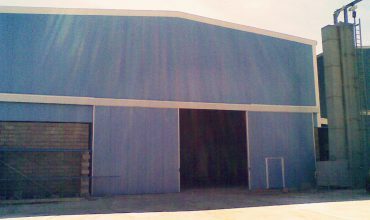 Steel hangar buildings can be produced in a single clearance up to 22 m, without columns, using light steel system as in steel warehouses. 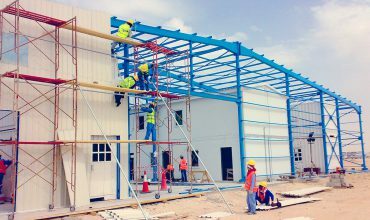 At this point, Hebo Building's customers can find solutions to their needs at a lower cost and better quality. 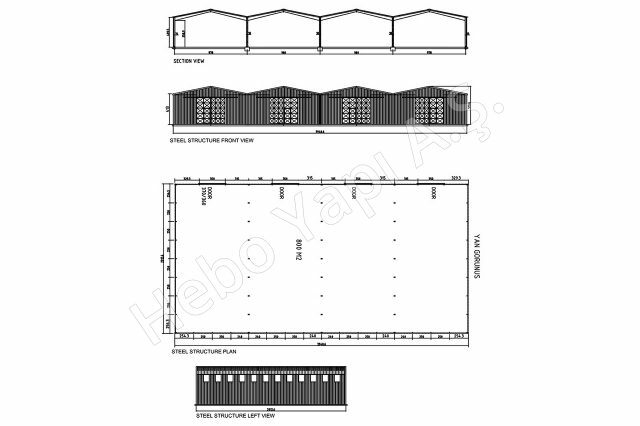 As well as steel storage, steel hangar buildings also have the possibility to use a suitable cranes, and this demand can be met by Hebo Yapı when requested. It is also possible, if necessary, to coat the structure with the walls and roofing made of insulated sandwich panels or, if not necessary, only with rolled galvanized sheets. 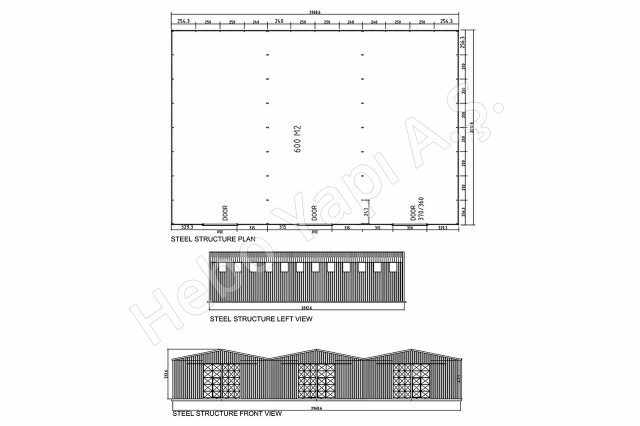 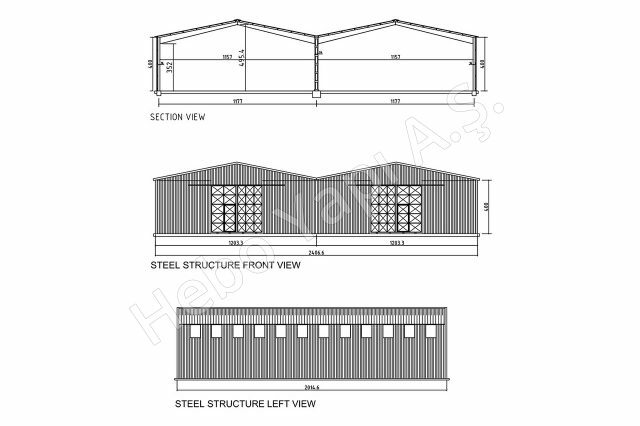 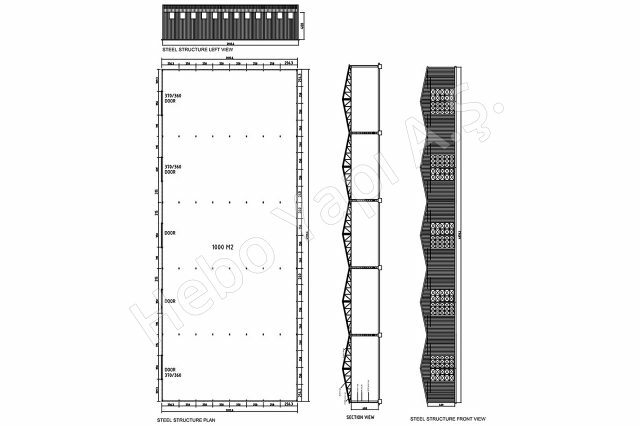 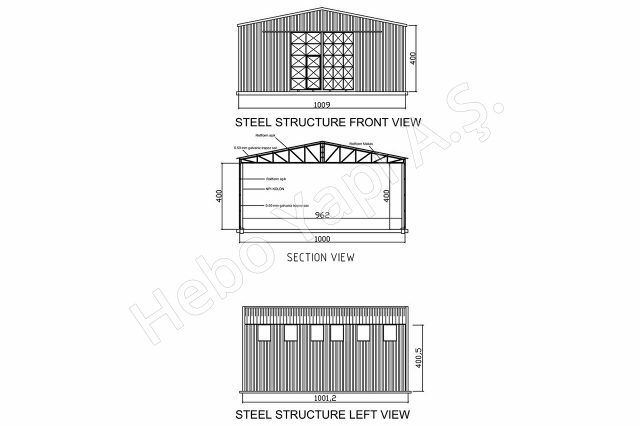 Static calculations and production drawings of steel hangar buildings are drawn and calculated by the team of engineers in the Hebo Building. 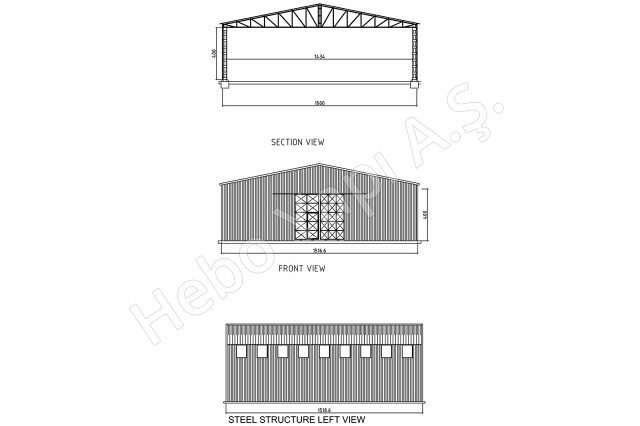 Therefore, calculations are made according to the characteristics of the area where the steel hangar will be ercted, and thus increases the strength and durability of the steel hangar building. 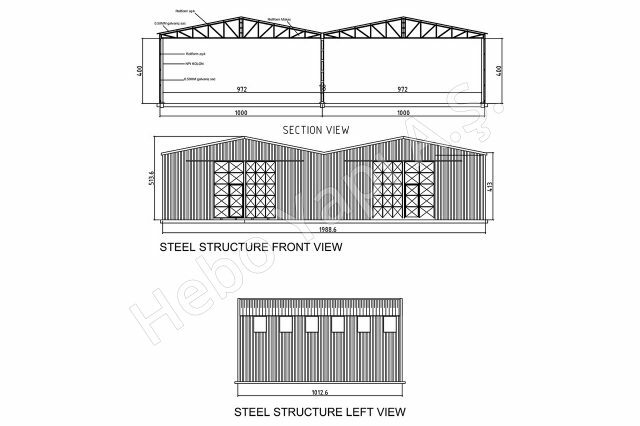 The wall and roof loops used in steel hangar buildings, roof trusses and wall columns are drawn entirely through special computer programs and loaded on computer-aided machine lines. 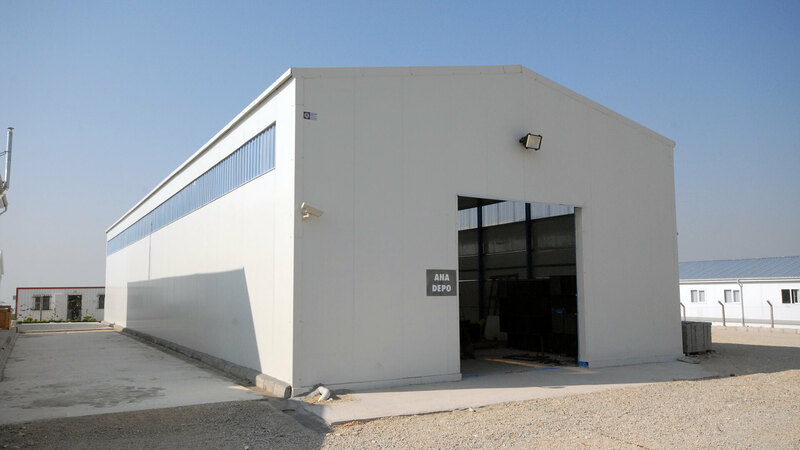 In this way, error in production is avoided and it is possible to have an easy assembly process on the site.